Professor Balbir Barn is the Deputy Dean of School of Science and Technology at Middlesex University. He is Professor of Software Engineering at Middlesex University. 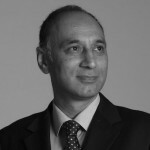 Following a PhD in Computer Science from the University of Bath, Balbir embarked on an industrial research career of over 15 years working in the various research labs at Marconi, Texas Instruments and Sterling Software where he was involved in the research and design of leading software products such as the IEF. Balbir joined Middlesex in 2008 as Associate Dean for Business in the School of Engineering and Information Sciences after an earlier academic role as Head of Department and Professor of Computing at th University of West London. Balbir has been a principal investigator on research projects totalling over £1.5M. He has also provided consultancy to prestigious clients such as JP Morgan Chase and JISC.